I find washable breast pads much better than disposable as they never leak and you never run out. First up you need a 13cm diameter circle. Your diameter is the width through middle. 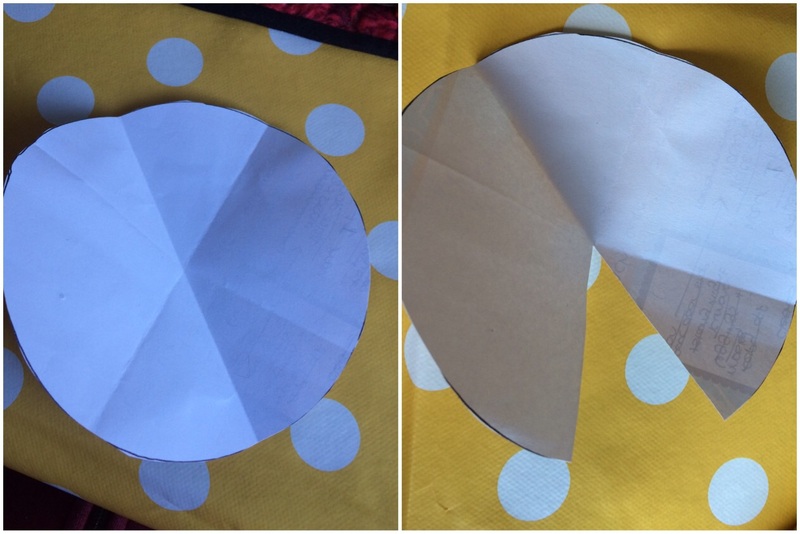 Fold in half then half again. open out and fold in half the other way to basically end up with triangles as per pic. Cut out one of those triangles this is your dart and will shape the pad. I used flannelette and fleece for mine. 4 layers of flannelette/winceyette and 1 of fleece per pad. 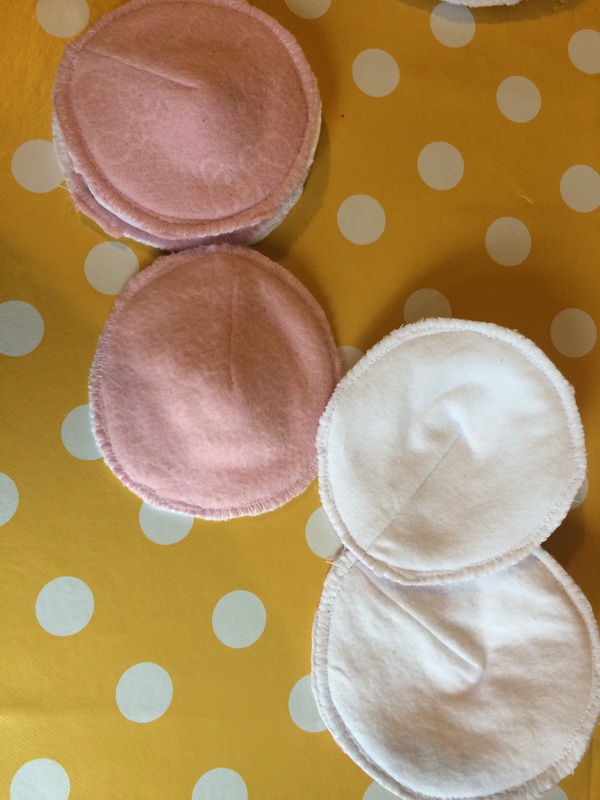 Don’t forget you need 2 pads to make a pair. Do the same to each layer. I found sewing 2 layers of the flannelette at same time much easier and no more bulky than one layer at a time. Plus it made the process of sewing 8 pair much faster. Next up place your 4 layers of flannelette with right side against wrong side. Right side- neatly sewn, wrong side- open seam with raw dart edges. Then place the wrong side of flannelette layers to wrong side of fleece. Once sewn this ensure none of the raw edges of darts show and therefore reduces any irritation. Sew around the edge of each pad trapping each layer. I used a straight stitch then trimmed them and finished off with an overcast stitch. 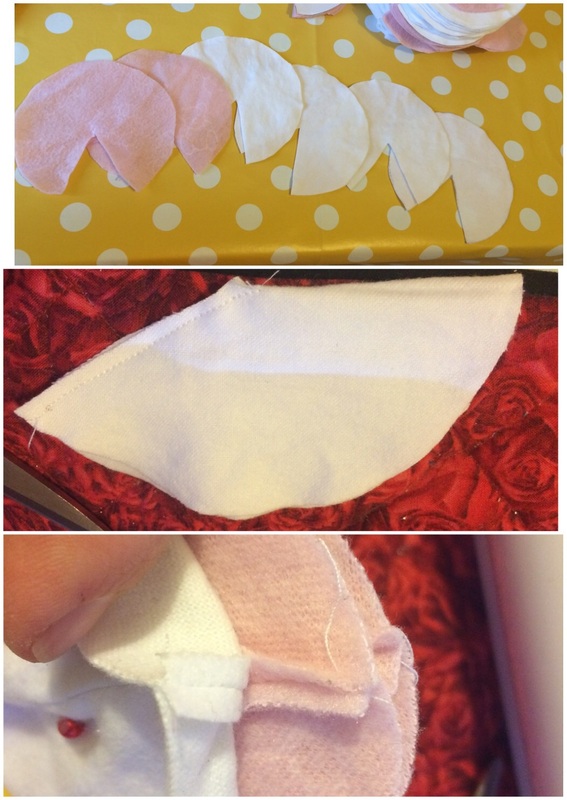 If you are using a serger you can just do this in one fell swoop. Repeat for each pad till you have enough. If you don’t feel confident doing the darts or haven’t the energy you can use the pattern as a full circle and they work just as well without too much bulk showing through a bra and top. You can also make bigger and thicker ones for night use and remember to only use washable creams or you may find them less effective over time. Other materials you can use for absorbency are microfibre, bamboo, zorb and terry towelling. You can use fleece like I did or PUL to keep them breathable. Fleece acts as water resistant barrier so provided you have enough layers to absorb any possible leaks the fleece is enough a layer to stop any leaks out other side whilst remaining breathable enough.